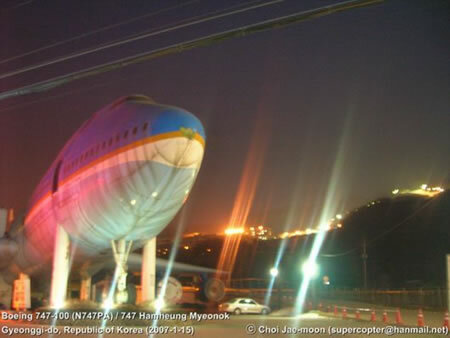 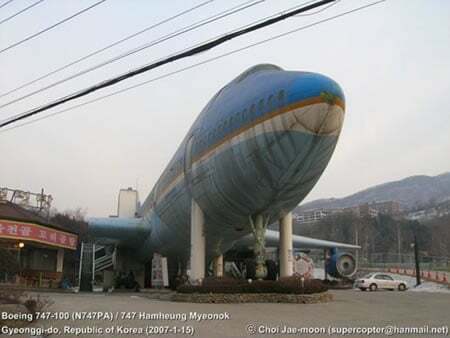 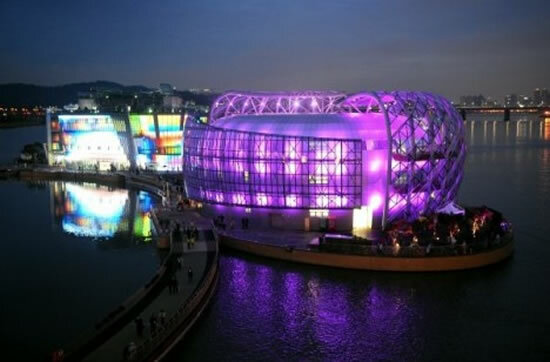 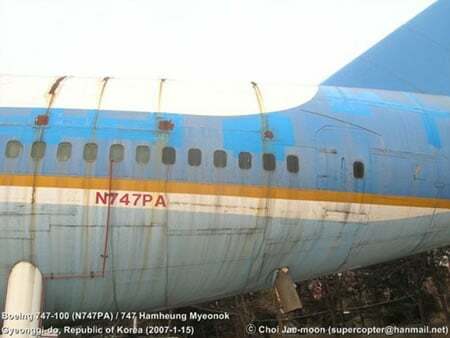 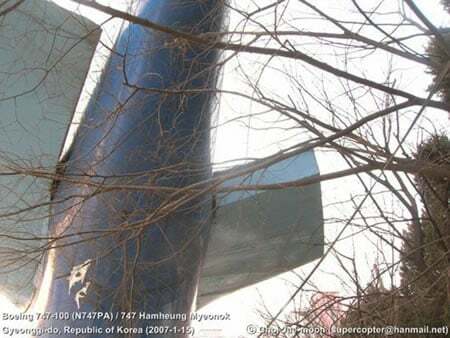 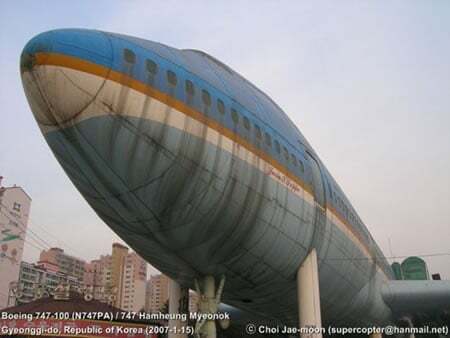 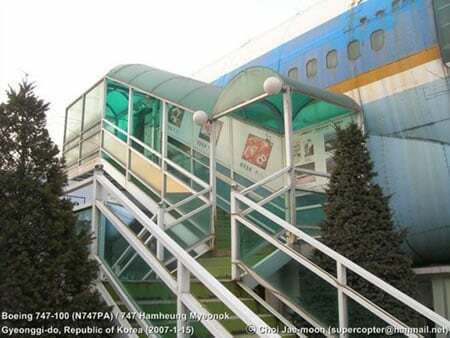 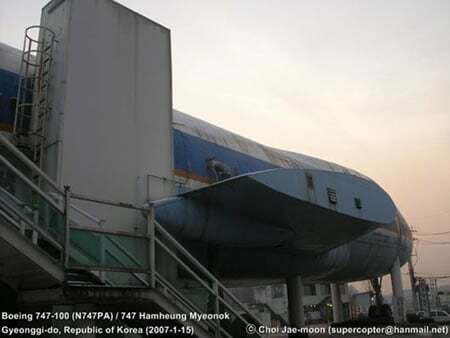 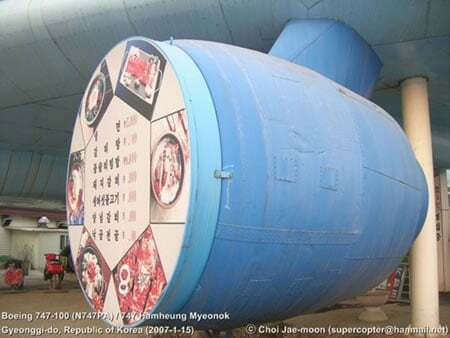 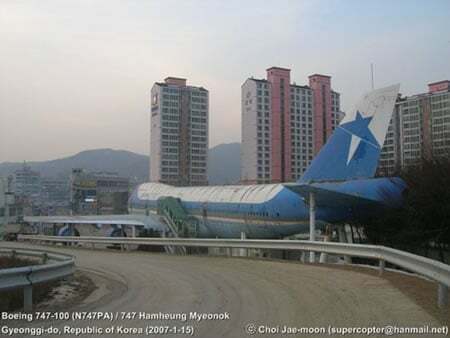 At Mokpo City, South Korea you will find the world’s fist Boeing 747 (numbered N747-10) converted to a restaurant. 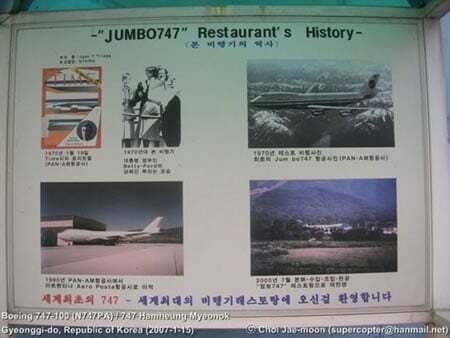 The engine has been converted to a sign board which shows the day’s menu so you can decide on what to eat while climbing up to the passenger section which is the restaurant. 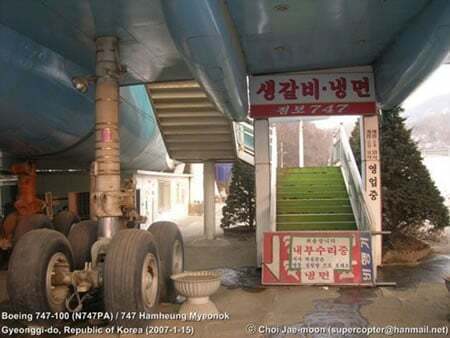 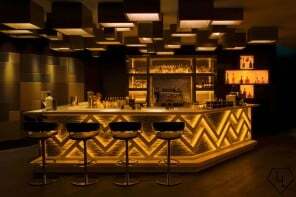 Considering the 747’s sheer size the fuselage can easily accommodate 150+ tables. 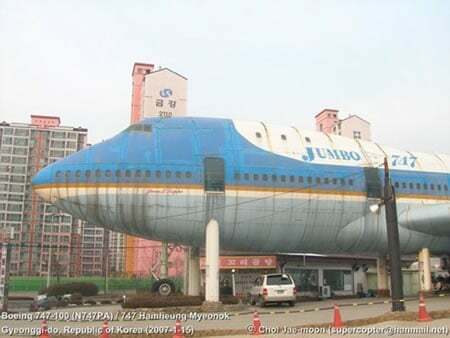 It is currently undergoing renovation and from the looks of the plane it definitely needed one.